At Unison we work with staff, students and family to create a supportive learning environment for all of our scholars. This supportive environment is upheld by a commitment to helping children develop strong relationships with each other and peers, teaching social and emotional learning skills and building a culture of high expectations. 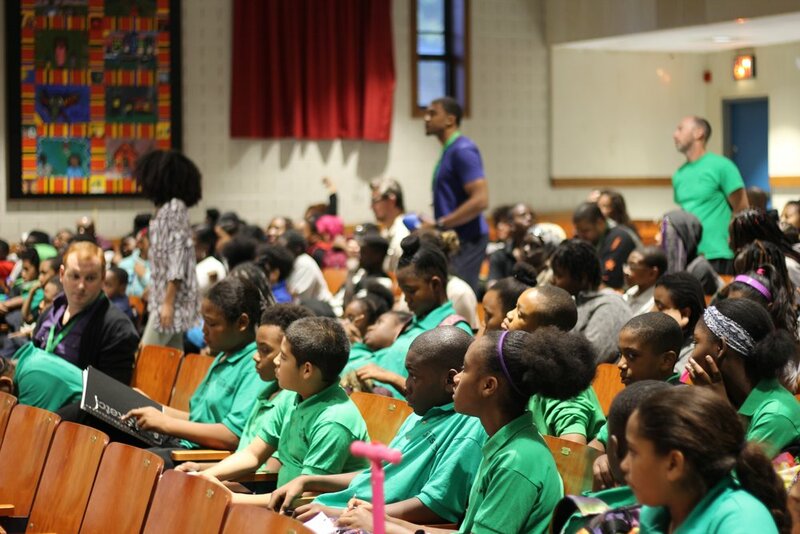 Through our partnership with Urban Assembly, we participate in a program called Resilient Scholars, that supports all of our students participating in Advisory classes daily with a 12:1 student to teacher ratio, in which children participate in the School Connect curriculum, dedicated to teaching our students’ social and emotional learning skills. Students receive feedback weekly about how they’re using their social and emotional skills to evidence our school values: Collaboration, Appreciation, Responsibility, Engagement and Self-Determination - or for short, Unison CARES! Our students and families also receive quarterly reports on their children’s social and emotional learning development as measured by DESSA, a nationally normed social and emotional learning survey filled out by children’s advisors, so that we can make personalized plans to support the development of every child.